We want to help find a project near you. Enter your postcode to search your area. 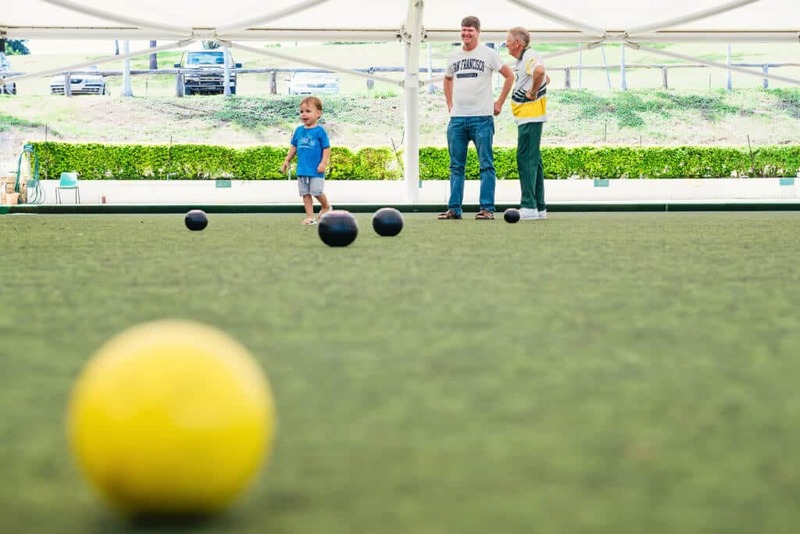 At Greenline, we refuse to see Australia become an indoors country, so we’ve spent two generations softening the sun’s effects. Faced with extremely varied landscapes and conditions, we’ve learned to be creative in our approach. We design resilient structures that can stand up to the harsh, dry sun of the south, or use innovative design to catch breezes in the tropical heat of the north. In doing this, we create much more than shade – we craft carefully designed spaces where communities can come together. 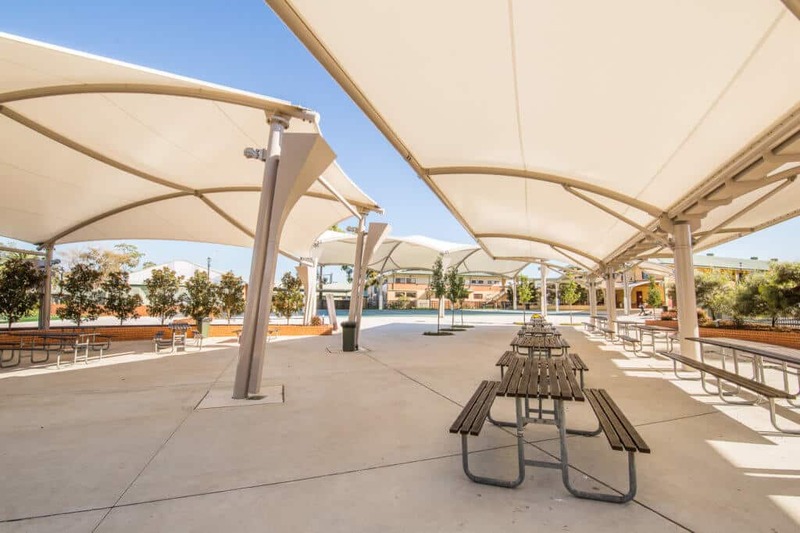 Working with Studio GA Architects, the Sydney Anglican Schools Corporation and Richard Johnson Anglican School, our team was challenged to design several large span fabric structures that complemented the upgrades to the outdoor areas. Greenline had to create waterproof walkway links between two areas within the school, cover a refurbished basketball court and provide cover to newly created outdoor eating areas. consider the space, the humans who use it, and how the sun fits into the picture, before applying our shade to the best effect. Maximum shade, strongest materials, longest life. While every job at Greenline shares the same objective (glorious shade), the outcomes are all kinds of unique.